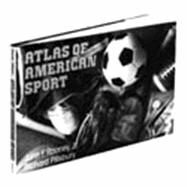 Reference Books - Books on Sports - Sport Books: Catalog of books about your favorite sports. 2019 Reference books on sale now. Buy your 2019 Reference books with us today. We have many Reference books to choose from and each purchase comes with the ease and convenience of Sportspool's online experience. We hope you find the Reference book that is perfect for you! "This Atlas explores the regional differences in games Americans play, follow and value. Maps, photos and essays illustrate how changes in sports reflect shifts in U.S. culture."